One big solid casting. The head weighs an enormous amount, and its large mass keeps the press stable when running. Additionally, it makes the drill incredibly sturdy, and gives it a feeling of confidence. 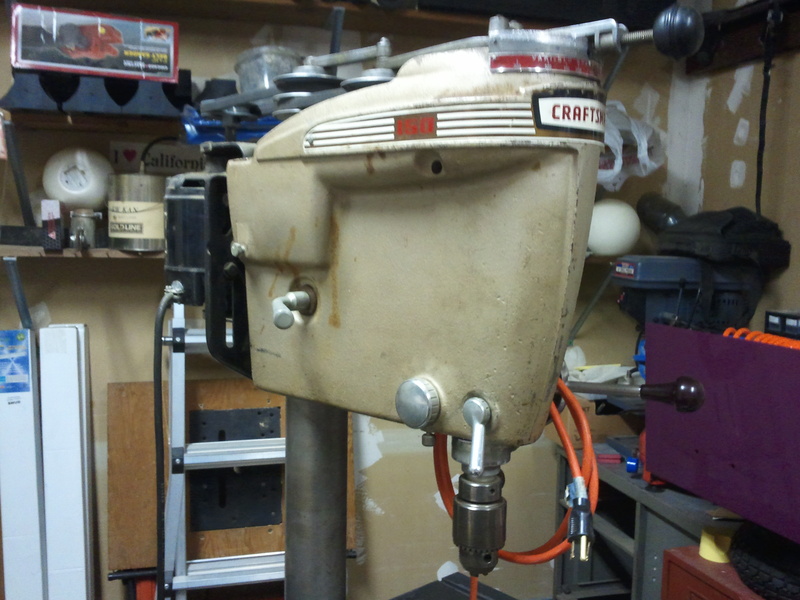 Notice my poor anemic little asian drill press feeling emasculated in the corner.